"I was more than happy to entrust the sale of my property in Wembley Downs with Roy. He has sold properties for me before and I have always found him excellent to deal with. He conducts a thorough market/property assessment and then proposes an asking price and market strategy. Great marketing and prompt follow ups with potential buyers has resulted in all my properties selling very quickly, much faster than real estate averages. Roy also managed to achieve the best market prices for my properties. I would have no hesitation in entrusting Roy with another property sale in the future and would highly recommend him to friends and family in the future." "I found Jason to be able to connect well in communication with any generation. He has a gentle, persuasive manner to get business moving without feeling stressed. I felt able to leave the business of selling in his capable hands." "Dear Roy, Thank you so much for all your help and hard work in the preparation and organisation for selling our place! We really appreciate all the time and effort you put in and the efficiency of everything too. Thanks again!" "I found Roy to be both personable and professional. His communication was consistent, his reports were of high standard and most importantly he was pleasant to work with. Thanks Roy!" "Roy proved us right in choosing him for this very important sale. He was very professional and like a “dog with a bone” once we received an offer. He worked very hard. Lynne and I could not be more pleased with Roy and recommended hit to our friends and will continue to into the future." “I would highly recommend Roy if you are selling a property. Roy works hard for you the vendor to get the best market price by offering great service and an excellent knowledge base of his product. He follows up potential purchasers regularly and as the vendor you receive frequent feedback on both marketing and selling status. I have bought or sold residential properties through Roy for over 5 years and will continue to list properties for sale with Roy." We enjoyed working with Roy & Benade Helman throught the whole sales process for our property in Karrinyup. From the outset Roy was very organised and thorough and had a very good understanding of the market. He gave us the confidence that he would be able to deliver to our expectations. He maintained a high level of communications with us through the whole process and kept us well informed of the results of home opens and prospective buyers. We were pleased with the final outcome and the way in which the negotiations with the buyer were undertaken within a short period. Overall the level of service was excellent and we would have no hesitation in recommending both Roy and Benade Helman to any prospective clients. “I recently sold a property with Roy Landless of Benade Helman Real Estate. I found Roy to be very professional, hardworking and genuine. I have often felt intimidated and pressured by Real Estate agents but from the very beginning I found Roy to be honest, sincere and never pushy. I found Roy that Roy had a very good knowledge of the current Real Estate market. He was more than willing to discuss and explain his knowledge and ideas with me. Roy was also very happy to listen to my ideas and answer any questions I had. I found Roy always kept me informed of the interest my property had attracted. Roy had a challenging job selling my property as it was tenanted but throughout the selling period he kept my tenants happy. Benade Helman Real Estate made the sale process very smooth. They were able to arrange any requests I had quickly and efficiently. This made my life easier as the property I was selling was in Perth and I lived 300kms away. "Thank you Roy for making the purchase of my new property smooth and simple. Your professionalism, efficiency and attention to detail were all greatly appreciate. You made what could have been a stressful time extremely easy through clear, timely communication and by being helpful and approachable. I would recommend your services without hesitation. Thanks a million!" "As first home buyers: Roy is very approachable and friendly. He returns calls promptly and follows through with what he says he will do. He is organised, informative, and has the ability to explain things in layman's terms when applicable. We believe Roy possesses all the characteristics, qualities and attitude that a good real estate agent/salesperson should have." “This is the first time we have sold a property and we didn't really know what to expect. Roy allayed all of our fears and made it a really easy pain free experience for us. Roy's professionalism, attitude and regular updates made this an extremely pleasant experience for us and we are extremely grateful. Roy's banking background is definitely a 'value add' in being able to 'pre-screen' potential buyers as we proceeded to settlement with no issues or delays. After speaking to 2 other agents (prior to engaging Roy), one of whose office is located in the suburb in which we were selling our property, it was easy to see that Roy definitely had his finger on the pulse for that suburb. Roy was spot on with his estimate of what the unit would sell for and we were over the moon with the price he got for us. 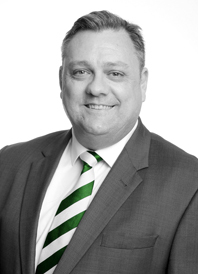 “I would definitely recommend Roy to anyone else trying to sell their house, Roy had amazing communication skills and was always informing us and giving us heaps of notice for when the next home open was going to be and making sure he picked the best time to suit everyone’s else's needs not just his own. “Being in the lower end of the market, my expectations when dealing with an agent were low. However Roy was friendly, always available to answer any questions, and kept me constantly informed. Very honest and upfront, and just a delight to work with. Thanks Roy”. “I would definitely recommend Roy for future sales. This was the first time I sold a property and he was very detailed in explaining the process and going through all options prior to listing. He was proactive in his marketing campaign and made sure when we listed it had the best possible exposure. We were able to get an offer and a sale within 5 days of the first home open. Once the offer was accepted he still kept constant contact throughout the settlement period to inform where things were at and how they were progressing which was great for peace of mind to ensure things were still moving. The overall process has been extremely smooth and I would highly recommend Roy for future sales.